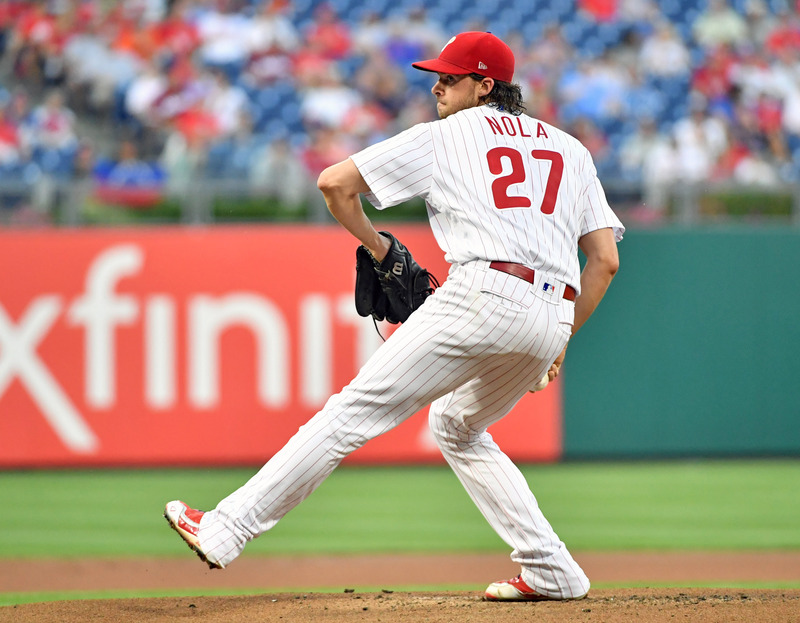 Aaron’s Ascent: Speaking of those two aces, Jacob deGrom and Aaron Nola are second and third in pitcher WARP in the NL behind Max Scherzer, but a sizeable gap exists between the two (deGrom 6.68, Nola 5.76). Regardless, the two have been phenomenal for their respective teams, and, in most years, they would probably be clear cut Cy Young winners. Nola has not broken out in one particular area, but rather improved his stats and underlying peripherals in almost every category. His BB/9, HR/9, GB%, ERA, FIP, DRA and contact numbers all have seen marginal improvements over last year. The only somewhat concerning trend is his BABIP, which sits below the MLB average at .256, but even if that regresses, he should still be a well above average starter. Phillies’ Failures at the Finish: As was mentioned above, the Phillies have struggled to capitalize in an NL East that may not have a 90-game winner. The Nationals have underperformed all season, but the current division-leading Braves have struggled as of late too, going just 8-12 in their last 20 games. The Phillies have wasted their opportunity to close the gap in the standings, though, as they have gone an even worse 7-13 over the same span. In their last 30, they have gone 12-18, and in the process, jeopardized their chances of playing in October. In fact, the Mets have the division’s best record over the last 30 games. More on that later. More Similarities: Despite their records, these two teams are more similar than they might seem. Philadelphia is 11th in VORP. The Mets are 12th. Philadelphia is fifth in DRA. The Mets are sixth. The’re both are also consistently rated as two of the worst at defense, and FRAA measures are no different. The Phillies have -8.4 FRAA, and the Mets have -20.7 FRAA, for 19th and 28th worst, but other defensive metrics have them both in the bottom five in the league. The rough similarities between the two squads and the Phillies’ record call to mind the potential the Mets had before the season. If there is a silver lining in this depressing comparison, perhaps it means the Mets’ chances next year are not as bad as we may think. The Good: Three Philadelphia batters are in the top 15 in the majors in walk rate (Carlos Santana: 16.1%, Cesar Hernandez: 14.1% and Rhys Hoskins: 13.5%). The Bad: Phillies batters have the third most strikeouts (1301). The Mets have 1194. The Ugly: Phillies batters have the fewest hits in the majors (1107). The Mets have the fourth fewest with 1115. Over their last 30 games, the Mets are an NL East best 18-12. In fact, since June 30, The Mets have gone 31-29. Since then, the Phillies and Braves have each gone 30-29, the Nationals have gone 27-33 and the Marlins have gone 23-34. Without the Mets’ terrible month of June, they would be four games behind the Braves for the NL East lead (three behind the Phillies and two behind the Nationals).